Warren Zonta Club President Cheryl Gruber welcomed Gov. Lori Robinson, District 4 Governor of Zonta International to the April 13th meeting. Gov. Robinson recognized the club for its organization and service to the Warren Community. The theme for her tenure as district governor is OWLS, Outstanding Women in Leadership and Service. She encouraged members to be active in club activities and advocacy. In doing so, they “were improving the world through community service.” She welcomed all members to attend the upcoming 2017 District 4 Convention in Niagara Falls, Canada in September. A candlelight ceremony was held for the induction of new member Anne Undersander. Warren Zonta looks forward to Anne’s friendship and service in Zonta. 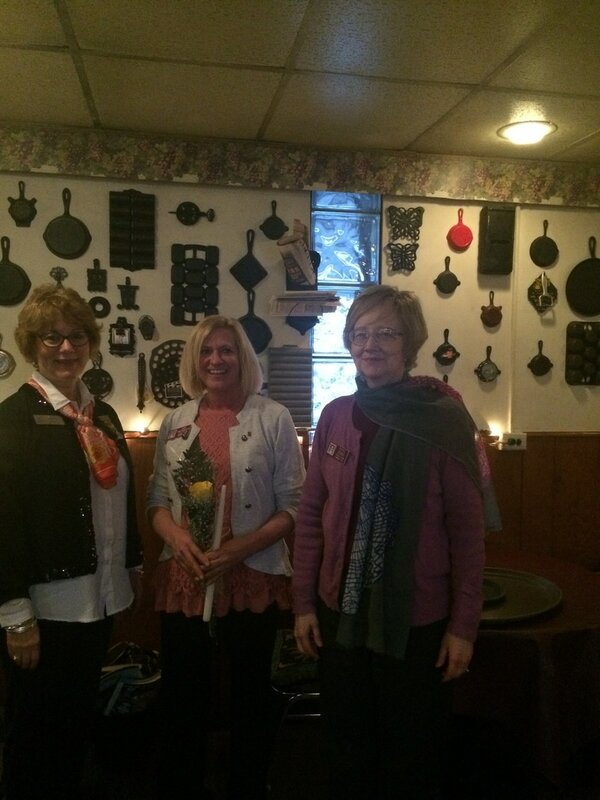 The Zonta Club of Warren recognized outstanding women for their continuous years of service. Gov. Robinson and President Cheryl Gruber presented each with several letters of accommodation and a certificate for their service to Zonta. The members recognized were Phyllis Wright, 42 years, Sally Ullrich, 32 years, Melinda Johnson, 30 years, and Barbara Tubbs, 28 years. At our May meeting, we continued to honor members with over 25 years of service to Zonta. Certificates were given to Jetta Bishop, 26 years, Roberta Stewart, 38 years, and Linda Falconer, 33 years of service. Warren Zonta and Zonta International thanks them for their years of dedicated service.